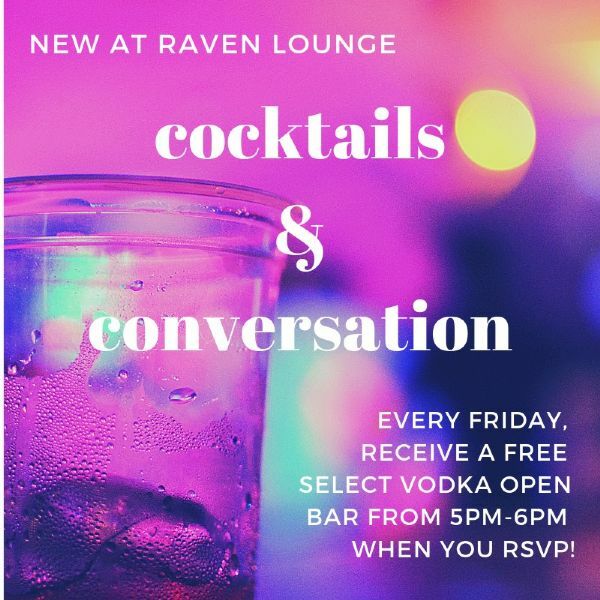 Come join Raven Lounge for an amazing Friday Happy Hour and Networking event called - Complimentary Cocktails & Conversation. Friday, 4/26 receive a FREE select vodka open bar* between 5:00 and 6:00 pm when you RSVP to this event. Don't forget to bring your family and friends! *Offer valid one per customer - only valid with RSVP and between 5pm and 6 pm. Board games and sketch books on all the tables!